This unique and charming place is the perfect answer to your family gathering or your business meeting. Flexible and private, this venue can receive up to 250 people. It is offered fully equipped with tables and chairs for your wedding or all other private or corporate events such as cocktail party, brunch, conference and seminar. 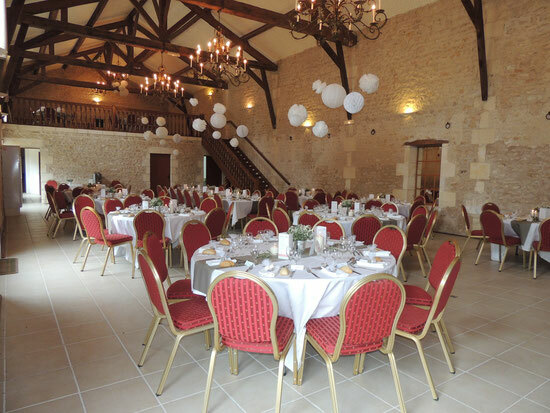 The Domaine du Bois welcomes you all year round in St Laurent de la Prée, a village situated between La Rochelle and Rochefort-sur-Mer (region of Poitou Charentes 17). Private and lit up car park provided for your event.